U.S. Department of Energy Secretary Steven Chu has high hopes that "transformative" laser drilling technology could be a boon to geothermal energy developments, especially in Hawaii. In an interview with Civil Beat on Wednesday, Chu called the development of laser drilling "the thing that gets me the most excited" about geothermal energy. Argonne National Laboratory, one of the federal government's oldest and largest labs, is exploring such technologies. Kenya Electricity Generating Co. (KEGC), the East African nation’s biggest power producer, said it will seek “concessionary funding” for the $745 million needed to drill 209 geothermal wells over the next four years. The company, based in Nairobi, plans to drill 168 wells from 2012 to 2014 and 41 wells in the 2015-16 period, Managing Director Eddy Njoroge told reporters today in the capital. Assemblymember Das Williams (D-Santa Barbara) recently introduced three bills aimed to help promote green energy technology, facilitate guidelines for efficiency upgrades and optimize investments in distributed generation. AB 2339 will require that the Public Utilities Commission (PUC) establish policies and infrastructure to overcome barriers to the development and use of geothermal and solar heating and cooling technologies. Geothermal energy uses the subterranean temperature of the earth to provide energy, largely for heating and cooling systems. It is seen as a cost effective and environmentally sustainable to help reduce our reliance on fossil fuels. In 2011, USA led the world and California topped the ladder among US states in geothermal investment, according to Ernst & Young's latest quarterly Renewable Energy Country Attractiveness Index (CAI), released today. Ernst & Young LLP also issued a new forward-looking report – United States Renewable Attractiveness Indices – that benchmarks the US state investments that were the driving force behind this shift, offering insight into the nation's diverse renewable energy markets, energy infrastructures and their suitability for individual technologies. The Geothermal Index is made up of a set of technology factors. 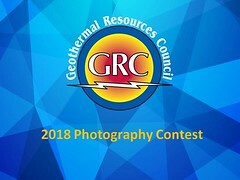 Growth in geothermal generation is projected to be robust relative to recent history for the industry, tripling over the projection period from 15.67 to 49.19 billion kilowatt-hours per year, but geothermal remains a small portion of overall generation. Geothermal resources suitable for centralized electricity production are concentrated in the west, and like other renewables, development is driven by State RPS policies. Annual Energy Outlook 2012 Early Release Reference case. Excellent summary of the differences between “geothermal power” and “geothermal heating and cooling”. The term “geothermal” describes two similar technologies that operate on different scales. Both are used for harvesting clean energy from the earth. Both yield opportunities for displacing pollution and emissions. The best case would allow for us to pour support into both of these technologies, but the prolonged fragility of the economy prompts the question of which one of these options actually gets us farther? Which should we be encouraging, publicizing and subsidizing? Which gives more bang for the buck? Nevada Geothermal Power Inc. today announced results for the quarter ended December 31, 2011. Revenue from electricity sales fell from US$5.8 million in the 2010 Dec quarter to $5.1 million. EBIDTA was $1.4 million, down from $3.6 million in the previous corresponding quarter. NGP also reported a net loss of $3.9 million in the 2011 Dec quarter, versus a net profit of $300,000 the previous corresponding quarter.